I knew something was up when I went to my screening of Obvious Child. Two things were of note. One, I was invited to a free screening of a film, that technically was already released in theaters the week before. Most of the time free screenings are before they are out, to build hype and stuff, but this could just be an indie movie thing. Two, the tickets I had were sponsored and given out by a Pro-Choice group. Huh. That is an oddly specific group to sponsor a show time. I guess…this movie…is about abortion? That isn’t an issue or something. But it is basically all I knew about the movie going into it. Like Citizen Ruth. This movie is about a few months in the life of Donna Stern (Jenny Slate). She is a stand up comic, works at a hipster book shop in NYC, and isn’t doing too much with her life. Just telling jokes about how it is. Well, her boyfriend doesn’t like this path and doesn’t like to be talked about in front of strangers. So he breaks up with her. And then she finds out her book store that she works at is closing. So she does what anyone would do, get really drunk and avoid her problems. If by avoid her problems, I mean talk about it on a stage, of course. Either way. She sexes up a guy, Max (Jake Lacy) who is very nice, and apparently the rubber wasn’t used. She gets pregnant, has a few panic attacks to add to her problems, and wants an abortion. The abortion isn’t even the scary part. It is the telling of her mom (Polly Draper) and getting the money together when she is already losing her jobs. At least she has friends (Gaby Hoffman, Gabe Liedman) for support. But why does that fucker Max have to be such a nice guy? Richard Kind is in here as her dad and David Cross as an old friend. I think this scene is a metaphor for birth. But I think that about all boxes. 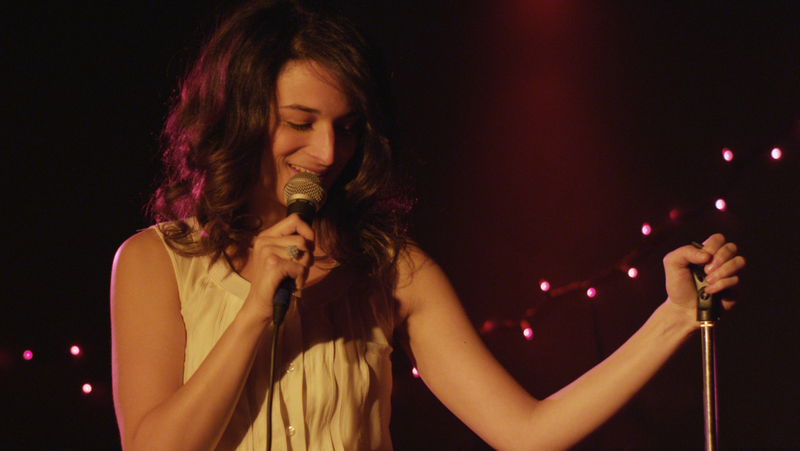 The main selling point for Obvious Child is its realness, and it really excels at that point. Really. Everything in this story feels like something that could actually happen. That is where it gets all of is charm and humor from. The humor is pretty funny, both in a “ha ha funny” way, and a “I am uncomfortable by their awkwardness” kind of way. And really, there isn’t much more to say about it? The film is funny and incredibly awkward. It is about abortion, but doesn’t make it a big life changing event, just turns it into something that has to happen. And hey, it involves that guy who joined The Office for its final season, so that was cool too.